Your fun experience begins with your arrival at this equestrian academy, where you are greeted by your host and instructor for the day. Then you are introduced to the stars of the stable - the horses & ponies and their stories. Then you are both provided with separate horses and the responsibility to get them ready for your ride - but there is lot of help around, as much as you need. As you groom your horses, the anticipation of riding starts setting in! Soon it is time for the real action. Just a brief step back to go through safety and riding instructructions. Then, with the help of climbing ladder or even without it you are soon on your horses! 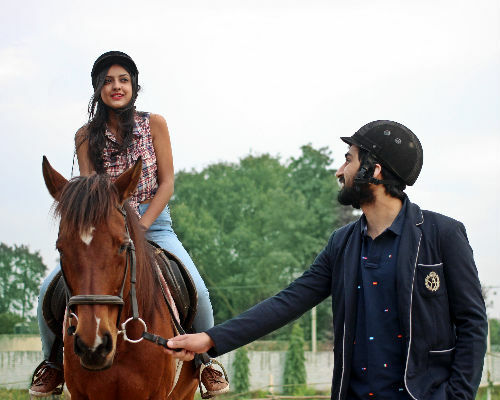 And with the help of your instructor you learn horse riding - basic or the next level. This date is fantastic for lovable memories, lots of selfies, pictures and laughs. 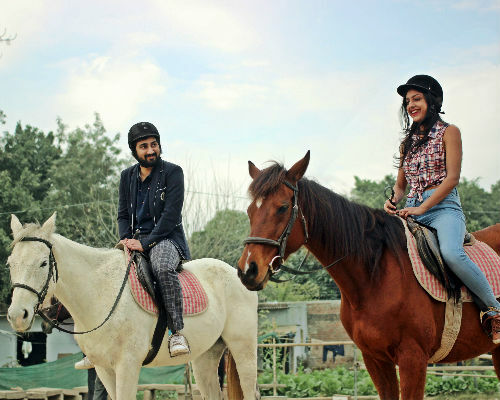 This sweet and thoughtful idea of horse riding date will definitely bring you and your love much closer to each other.